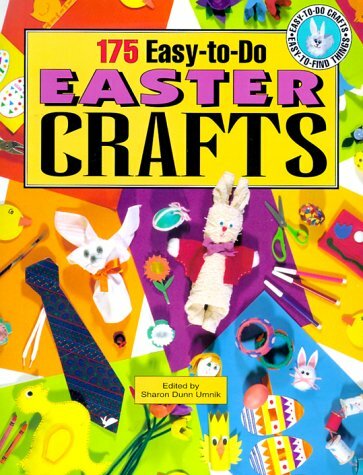 This book, 175 Easy-to-Do Easter Crafts, is filled with a wonderful assortment of crafts made from recyclable things and inexpensive items you will find in and around your home. All you need to have for many wonderful hours of enjoyment are pencils, crayons, scissors, tape, and other craft supplies you probably already have around the house. 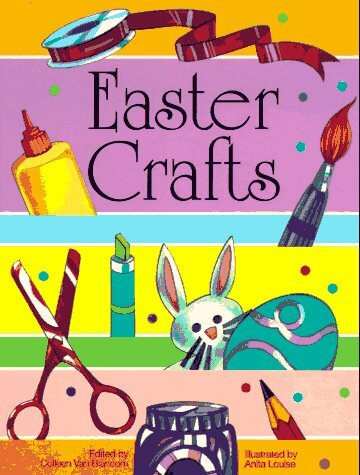 You and your children will have hours of fun making a variety of crafts. Each project has a list of items needed and the basic steps for completing the project. The colorful photos show the finished product so that you can see what your creation should look like when you are done. This is a fun and easy to follow book that lies flat, has fairly large print, and pictures of every project. There is even a material index in the back of the book. This book is good for parents, grandparents, Sunday School classes, and elementary or preschool teachers. 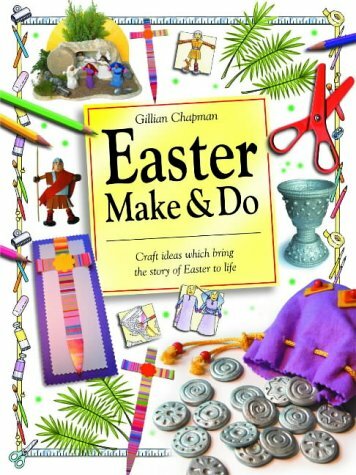 This book offers ideas, crafts, and activities for children to enjoy as they prepare for and celebrate Easter. Look no further for entertaining Easter ideas! From tasty recipes for agourmet dinner to silly and simple crafts with the kids, you'll find thevariety in Easter Treats most pleasing. Each recipe includes alovely color photo of the finished project, as well as an ingredients listand, where appropriate, illustrated steps or traceable stencils. Party-favor ideas range from sturdy paper candy cones to simple jellybean bags,while more kid-friendly ideas include adorable bunny finger puppets andfuzzy pom-pom chicks. 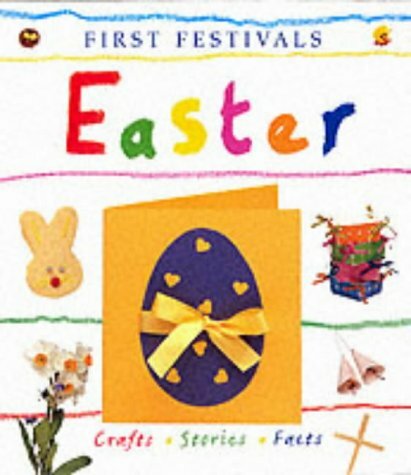 Easter is a special time of year for families, especially children. 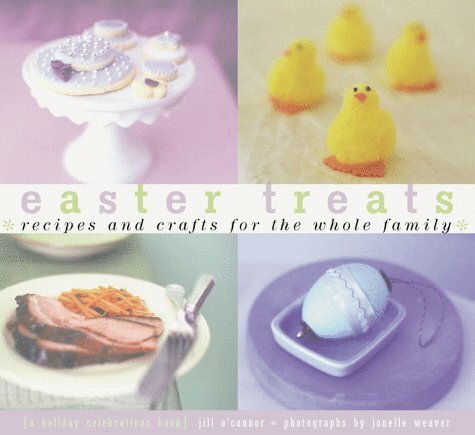 Easter Treats provides a large number of recipes and crafts the whole family can create together to prepare for this special holiday. There are a number of projects using hard-boiled eggs or egg shells. 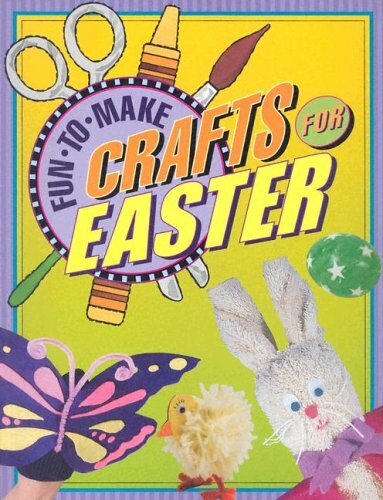 There are directions for creating Easter baskets, candy cones, and Marzipan play dough. The beautiful color pictures provide inspiration and an example of what the finished project should look like. 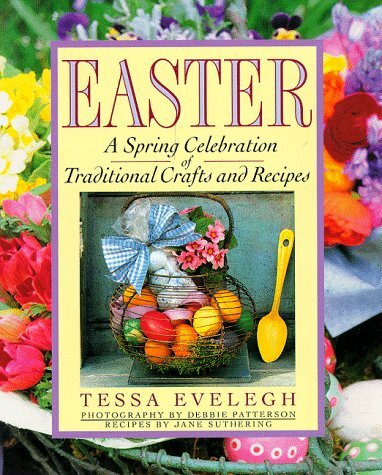 The recipes include a wide variety of foods for every course throughout an Easter meal. Woven among the recipes are instructions for table decorations as well. 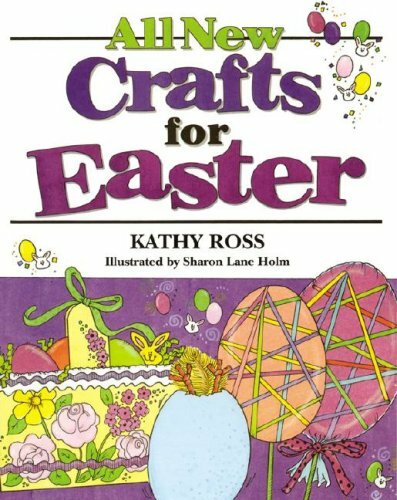 Anyone who enjoys creating Easter crafts or cooking delicious meals will appreciate this easy to follow book filled with numerous projects the whole family can enjoy. Ok...this is a 96 page book concentrating on Easter (crafts and recipes).I had high hopes for it, based on the wonderful valentine volume in the same series (also available, Summer Time Treats, Halloween Treats, and Christmas Treats).I love the layout and format of the book...it's a soft cover book that is easy to handle.I do have concerns about the long term sturdiness of the book when actually doing the crafts and making the recipes...I don't know that the binding will hold up over the "long haul. "I do like the overall cover design and layout -- very nice and visually appealing! "Easter is one of the most joyous holidays in Christianity, celebrates the resurrection of Christ.The Easter season is also a time when we honor the unity of our family and friends, welcome spring,,and revel in the awakening beauty of nature after the long days of winter." Now, obviously, since I'm reviewing this volume from a Wiccan/Pagan perspective...I simply cannot "get behind" the first part of this...but I can whole heartedly embrace the latter part!! 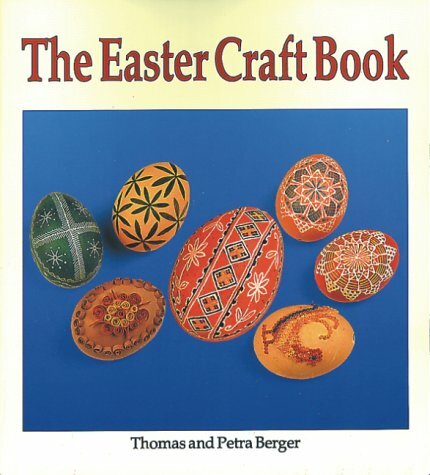 I did enjoy the very brief blurb in the introduction about the Germanic origins of Easter Eggs...but would like to have seen a more original suggestion than an Easter Egg Decorating Party for the "ideal" holiday get together! You will also find standard tips for Boiling blowing, and dyeing your eggs. 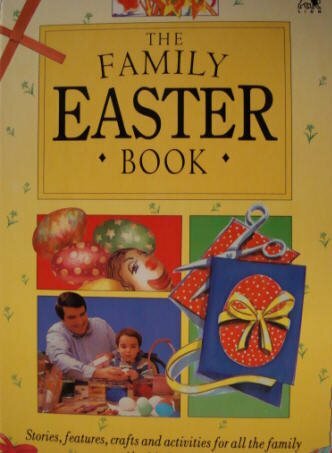 As a book of "Recipes and Crafts for the Whole Family," I find this somewhat lacking in the "whole family" area! 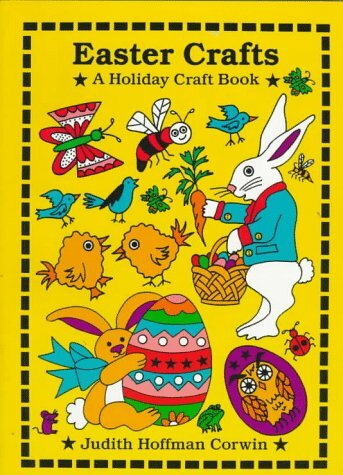 !Perhaps if your family consists of you and your husband or you and an older child or two, this might apply -- but for people like me (kids ages 3 and 5)...who are looking for a mix of elegant adult crafts and and fun and/or easy kids crafts...this books leaves me wanting. Certainly not in the adult crafting area -- there are a plethora to be had in this area -- but in easy, fun kids projects, there is MUCH to be desired!! As with the Ribbon Eggs, the Washi Eggs (pg 22) and Candy Cones (pg 29) do not seem like kid friendly project either...they ARE beautiful, but definitely an adult project! The Easy Easter Daisies (pg 25) and brilliant yellow dyed eggs would look STUNNING on an altar, there is just something about them that says SPRING...and with a bit of adjustment on the size of the daisy pattern, could easily be done by younger children!! The Starry Sky Eggs (26), Jelly Bean Bags (32) and Marzipan Play Dough (Also pg 32) would all be well received by kids of all ages...and easy enough for them to enjoy doing...small kids will need help tying the bags on the jelly beans (be sure to have extra beans, snacking is inevitable with this project -- and half the fun...lol).There are also several projects (like bunny ears and finger puppets for younger children...but my kids already do this stuff at school and I was hoping for a few NEW ideas to do with them!! The secret message eggs are a very cute and fun idea -- kids (with parents help) should delightin making and then smashing them (or helping the recipient to smash) to get at the message -- this craft also has possible applications for magickal workings -- I know you magickal crafters out there have your motors running already!!! All the recipes (with the exception ofthe "chicken feed," pg 26) are adult caliber -- I would not attempt any of these -- well, perhaps the Easter Bonnet Shortbread ones (72)...but they would NOT look as elegant and refined as the ones pictured in the book...kids LOVE to decorate cookies...so this one is a definite kid friendly food project!! B+ for Price -- same as the Valentines for size and content...I'd really expect to see a price of 9.95 or slightly less -- with a 14.95 list price and about a 12.00 price tag on Amazon...its' a tad higher than I'd expect or like to see! Cannot wait 'til I can afford to get the other three in this series, despite my dislikes about this volume, overall I think it's a good buy... and frankly I'm hooked and must have the rest!! Look for my reveiws of them when I can afford to buy them!! Well, it all started with the Halloween Treats book and now I'm hooked.This certain book has many yummy recipes for dinners, drinks, sweets, and even a cute bunny cake.There are also adorable and easy to do crafts for the kids, such as making a little chick and cute bunny finger puppets and you can't forget the dying of the eggs.The instructions are extremely easy to read and follow and the colorful photos of many of the projects are very helpful.I highly recommend this book, as well as the others 'treats' books.You won't be disappointed. This is my fourth cookbook by Mrs. O'Connor. 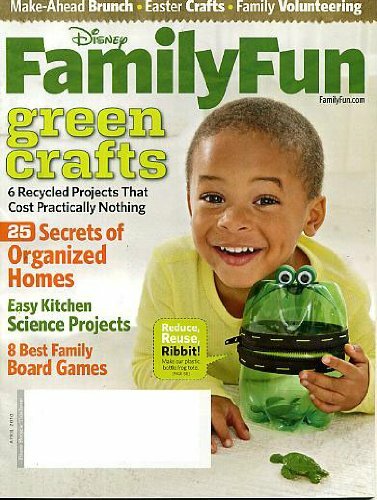 This one has craft ideas for the whole family to enjoy. Mrs. O'Connor writes in plain English with easy to understand recipes that help you get your children involved in thekitchen. There is a wide variety of dishes in this book. It's great. I hopeshe keeps them coming.